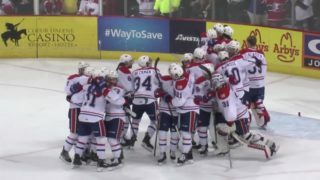 EVERETT, Wash. – Riley Woods scored in the first round of the shootout and goalie Jayden Sittler turned away all three Everett attempts as the Spokane Chiefs picked up a 4-3 win at Everett on Sunday. 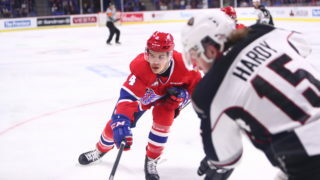 The win was Spokane’s first in three shootout games this season and pulled them into a tie with Portland for the eighth and final playoff berth in the Western Hockey League’s Western Conference. Everett scored just 51 seconds into the game to take an early 1-0 lead. The Silvertips would score again at 6:57 as Everett led 2-0 after the first period. Spokane would start their comeback four minutes into the second period as Hudson Elyniuk scored his 17th of the season on a tip of a Keanu Yamamoto pass to make it 2-1. Woods would then tie the game at 2 with a highlight reel goal for his ninth of the year at 16:30. Everett would retake the lead just 12 seconds after Woods’ goal to lead it 3-2 after two. 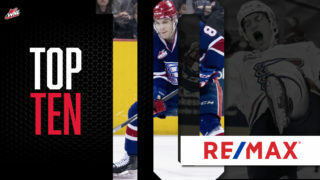 Spokane would pull back into a tie just 31 seconds into the third period as Kailer Yamamoto scored his team leading 30th goal of the season on a Jaret Anderson-Dolan feed from behind the Everett net. The goal proved to be the one to force overtime for the third time in six meetings with Everett this year. 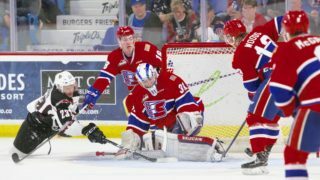 Spokane killed off an Everett power play midway through overtime to force the shootout, where Woods was able to beat Everett goaltender Carter Hart for the decisive score. The made attempt was the first for the Chiefs in 13 tries this season and Sittler made it hold up. The overage goaltender earned his 12th win of the season with 23 saves. 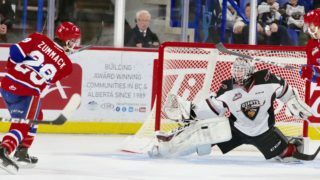 Spokane was outshot 27-20 as the 20 shots were the fewest for the Chiefs this season. The Chiefs were 0-for-2 on the power play and a perfect 3-for-3 on the penalty kill. The loss was only Everett’s sixth of the season at home. 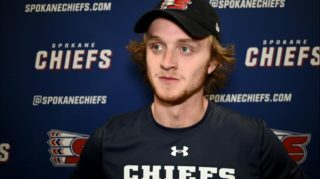 The Chiefs will look to get their third straight win as they host Seattle in a make-up of the postponed game from January 18 this Tuesday, January 24 at 7:05 p.m at the Spokane Arena. Mike Boyle will have radio the call on 1510 KGA NW Sports Talk starting with the pre-game show at 6:30 p.m.